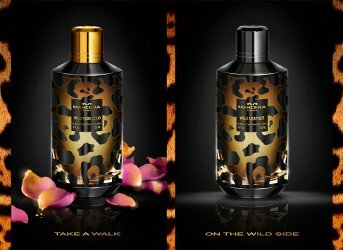 Paris-based niche line Mancera has introduced the Wild Collection, with two fragrances: Wild Leather and Wild Rose Aoud. Also new from Mancera is Aoud Line in the Line Collection; and Amber & Roses in the Dark Desire Collection. Wild Leather ~ featuring notes of bergamot, rose, violet, patchouli, amber, leather, oakmoss, gaiacwood and white musk. Wild Rose Aoud ~ with bergamot, lemon, rose, jasmine, patchouli, amber, musk, sandalwood, oud and vanilla. Aoud Line ~ featuring oud, vanilla, rose, teak wood,patchouli, sandalwood, amber and raspberry. Amber & Roses ~ the notes include lemon, rose, jasmine, labdanum, amber and white musk. Mancera Wild Leather, Wild Rose Aoud, Aoud Line and Amber & Roses are available in 60 or 120 ml Eau de Parfum. The amber seems ok I guess. Never a shortage of oud scents. I probably won’t sniff anymore oud scents for the most part…just done with that note. Not a huge oud fan I guess. And it’s just overdone. Plenty for others I guess. Nope, there are plenty to go around.